As the children head off back to school, it does start to feel like summer is over. The official end of summer isn’t actually until 22 September – which means there’s still time to enjoy the last bit of sunshine, and start getting your garden ready for autumn. All of your hard work through the spring and summer is now showing the benefits. 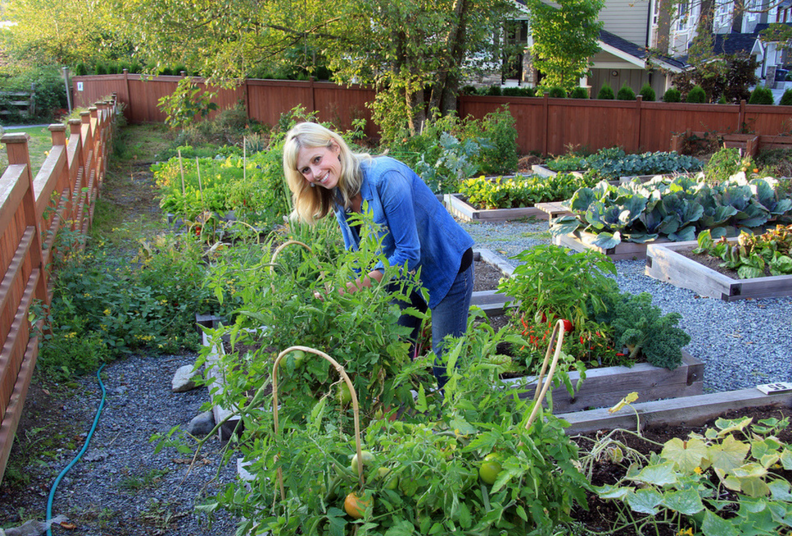 If you had fruit and vegetable beds growing, you’ll be enjoying the harvest. If it’s not quite ready, check your netting is secure. The birds will be getting hungrier about now. 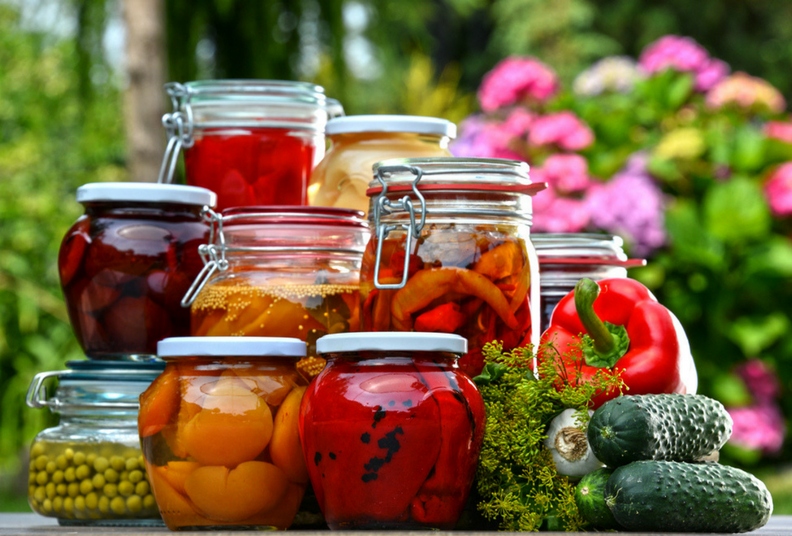 It’s time to get jamming and pickling – storing your harvest for the future. You can also freeze fruit, so make sure there is space in your freezer. Make sure you dig up any potatoes, the slugs are out about in force. You can leave them out in the last of the summer sunshine to dry for a few hours, before storing in a dry, dark place to keep you going through the next few months. Remember that they need air or they’ll go mouldy. Hanging baskets and container plants are still flowering and looking beautiful. Keep up the feeding and they will last until the frosts begin. The first thing that happens in autumn is, of course, leaves start to fall from the trees. Make sure you put netting over ponds, ready to catch them all. It saves a lot of time and cleaning later. You’ll also need somewhere to put all those leaves, so make a space for new compost piles if you can. Summer’s plants are beginning to die back, so you can start clearing them out, particularly if you have a greenhouse. This means you’ll have the space to get some new plants in over the autumn. 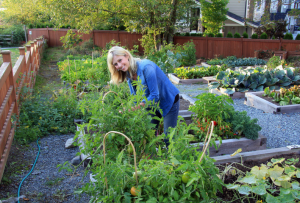 Remove weeds and the dead crops – a little time tidying up your beds and vegetable patch now will save you time nest year, when the ground may still be firmer. The ground is still soft and warm enough to start thinking about next spring. Now is the time to be planting your spring bulbs – daffodils, crocus, hyacinths and so on. It’s also the best time to be planting new trees and shrubs. The increased rainfall will help them settle in, ready to burst into new growth next year. New lawns will grow well right now, so putting down seed, aerating your lawn and giving it some food will help improve any poor patches. As well as preparing the garden, it’s time to care for your tables and chairs. By the end of September the weather will be poorer, and the temperatures much lower. One of the last jobs of the month is to give everything a good clean, and put it away for the winter. Give your shed or garage a good clear out, and make a space between the bikes and wheelbarrow. If you don’t have the room, consider putting your furniture in self-storage for the 6 months until you need it again. It’s dry and out of the way, leaving you more room at home for your spring potting. If you need a little more space in your garden, talk to us about self storage. With daily access if you need it, a storage unit is the perfect second shed, a place to keep all your seasonal gear until next year. Call now on 0121 285 5197.